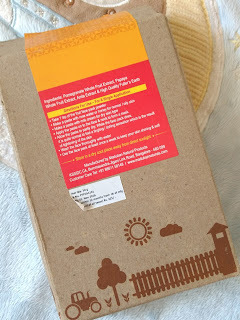 Let see how the Maduban Natural Products Pomegranate Face Pack lives up to its claim. I am keeping this review simple without much of my blabbering as this face pack has impressed me very much. A revitalizing fruit face pack made with highly concentrated extracts of pomegranate, amla (indian gooseberry), papaya and high quality Fuller's Earth. 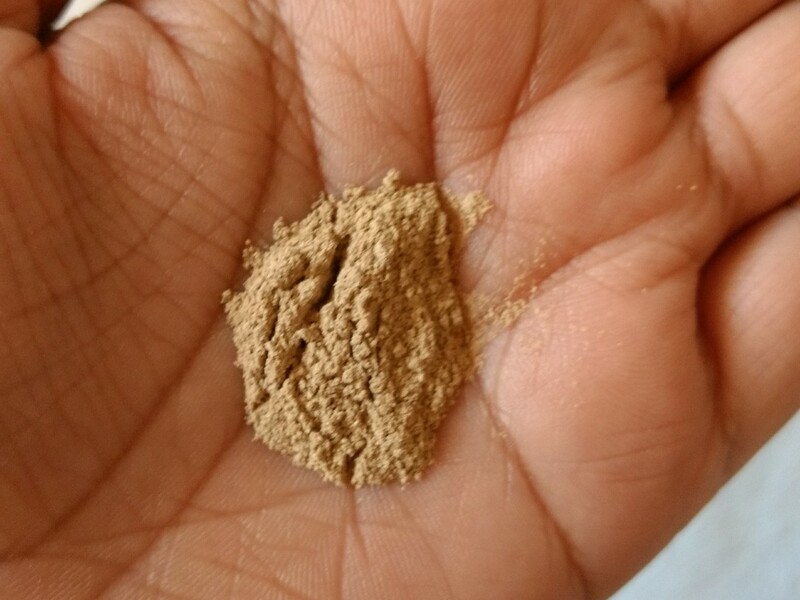 No fragrances or colors have been used in the formulation. 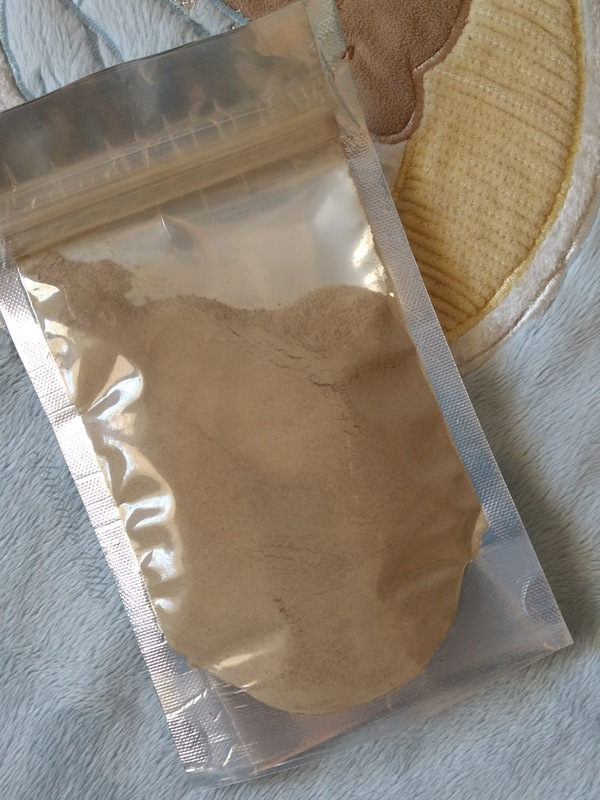 The face pack is packed in a cardboard box and contains a zip seal bag inside. I like how simple the packaging is and seal bag prevents the contact of face pack with air. The face pack is very coarse in consistency, that being said the face pack contains whole fruit extracts of pomegranate and papaya. This prevents even application of the face pack. However as long as the face pack doesn't contain any additives and preservatives that shouldn't be a cumbersome problem. I applied the face pack mixed with plain water. The face pack takes time to dry up, as is I never let my face packs dry completely. The face pack has a peculiar fragrance of dried pomegranate which obviously is not so pleasant. Once you apply the face pack and sit the fragrance is not bothering. As and when you move around after applying the face pack, with the air swaying around you the fragrance appears to be strong. Once you read the below after effects of the pack, I bet you won't even mind the fragrance😛. Coming to the effects of the face pack, it gives an instant glow to the skin which remains all day long. The face pack contains papaya and pomegranate both being high in vitamins, iron and anti oxidants. The face pack leaves the skin smooth and even toned, so much that you cannot keep your hands off your face. Some may find the fragrance bothering, but keeping in mind the efficiency of the face pack it's ignorable. Maduban pomegranate face pack is a highly recommended face pack if you are looking to feed your skin some real antioxidants and get real glowing skin. 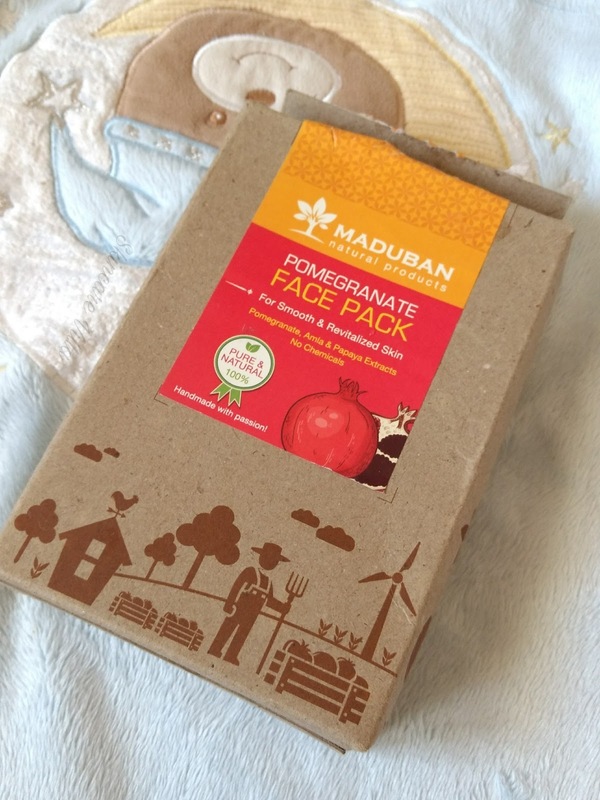 Ignoring the fact that the fragrance us a bit bothering, Maduban pomegranate face pack is a highly recommended face pack if you are looking to feed your skin some real antioxidants and get real glowing skin.